Usher is going about his life seemingly undeterred by four people who are suing him for allegedly exposing them to genital herpes. 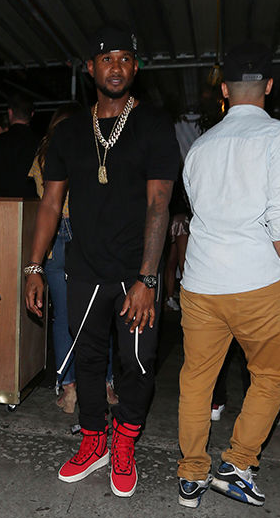 The singer was at Bootsy Bellows in WeHo last night to celebrate Jermaine Dupri's 44th birthday. Notable celebs that graced the occassion include Diddy and Mariah Carey. The people suing Usher are turning up the heat. The male accuser now says he had sexual contact with the singer at a Koreatown spa in L.A. One of the female accusers claims she actually contracted genital herpes and delivered stillborn twins. 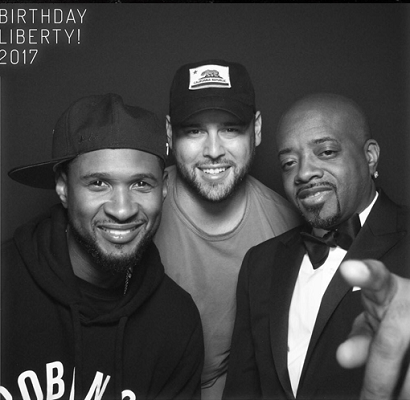 Usher, Jermaine and Scooter Braun mugged for the camera during the party (2nd photos above).